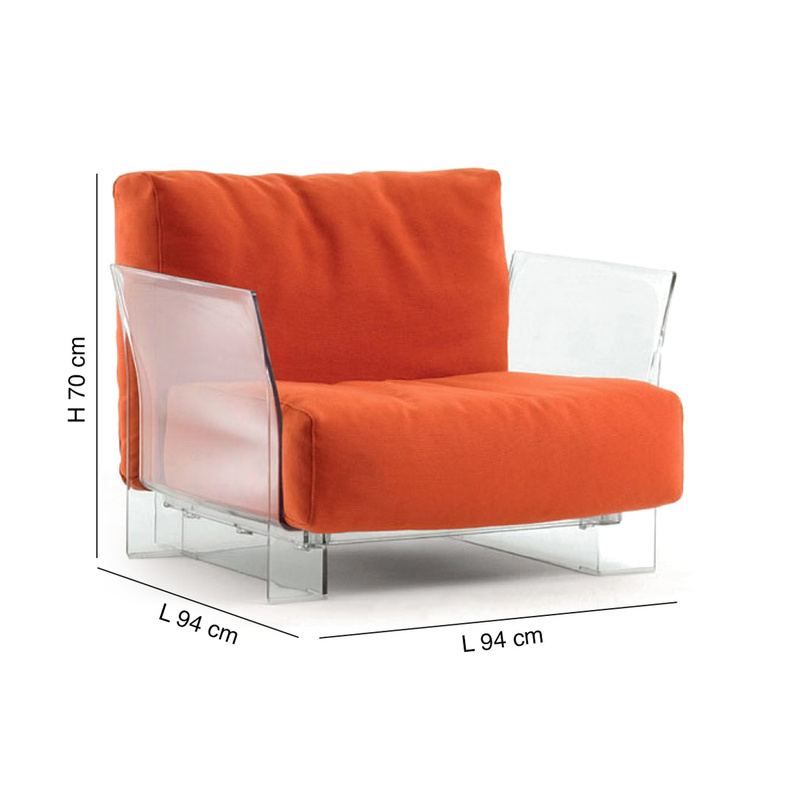 Signed by Piero Lissoni and produced by Kartell, Pop is an armchair made of a transparent polycarbonate structure and 2 removable cushions padded with polyurethane foam and upholstered with plain white Trevira fabric. 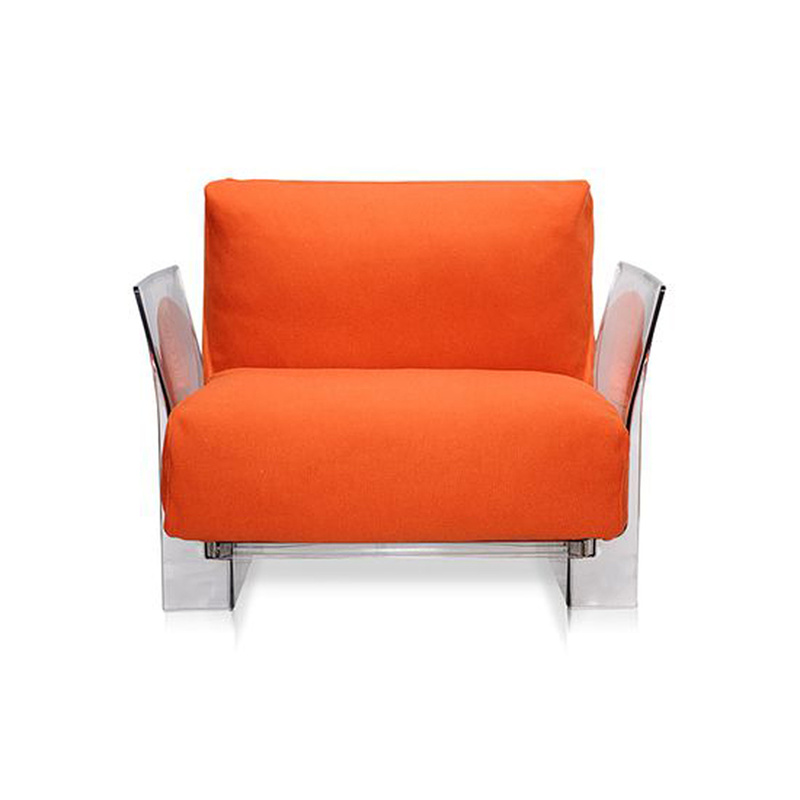 Trevira fabric is made of 100% polyester and is washable at a maximum temperature of 60 degrees. 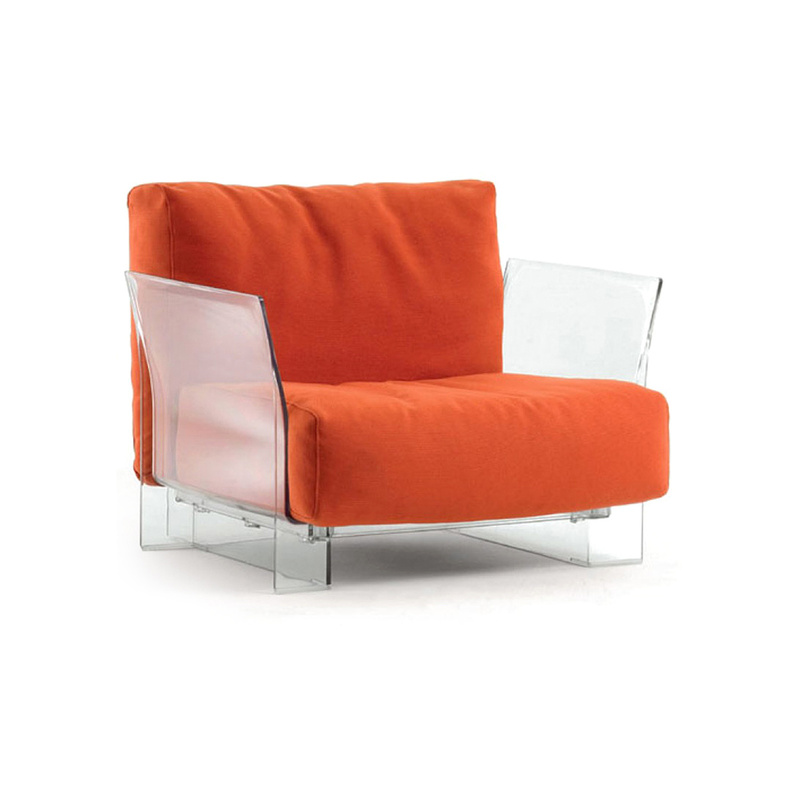 Piero Lissoni is an architect, artistic director and designer (1956). 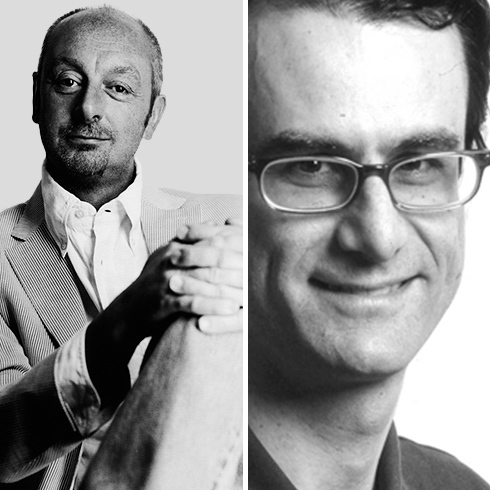 Together with Nicoletta Canesi, Piero Lissoni opened the Lissoni Associati studio in 1986. In 1996 they created Graph.x for the development of graphic projects, the studio's work includes architecture, graphics and industrial design. At the moment more than 70 people work in the studio, including architects, designers and graphic designers; solutions are created for Alessi, Boffi, Cappellini, Cassina, Fantini, Flos / Antares, Fritz Hansen, Kartell, Knoll International, Lema, Olivari, Pierantonio Bonacina, Poltrona Frau, Porro, Riva 1920 and many others. Carlo Tamborini was born in Milan in 1958. After studying at the Istituto Europeo di Design in Milan in 1993, he began working as a freelancer, designing packaging and display systems. He collaborated with various architectural firms and in 1997 he started working in Piero Lissoni's studio in Milan, where he is currently Design Manager. In 1998 he co-founded the Code 31 group. Since 1999 he has designed interior lighting and furnishings for Fontana Arte, Pallucco, MOS di Cover, Glas Italia and Coro. 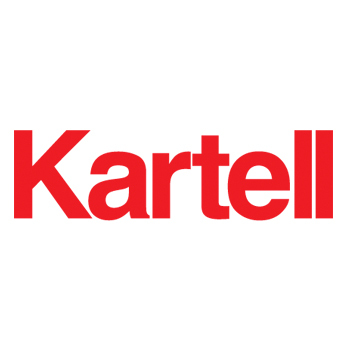 Founded in 1949 by Giulio Castelli, Kartell is now an international symbol for the desire to draw new aesthetic boundaries for Made in Italy. Thanks to continuous research and experimentation, the brand has shown the world that plastic can have a thousand faces, introducing the opaque surface, transparency, and softness. The creativity of the most famous contemporary designers can thus give life to a collection of accessible and versatile furniture items, accessories and lamps.